Modern can be a daunting format if you’re coming from Standard, or if you’re one of the rare birds that starts here. I’m here to tell you it’s probably not as intimidating as it might seem, and to help you get started. Where Standard is about a turn 7 format, Modern is quicker. It’s described by Wizards of the Coast as a turn 4 format, which means many of the decks are capable of winning consistently on turn 4. There are decks that can win turn 3, but this happens inconsistently (except maybe unless you’re Amulet, which could see a banning soon). What this means in terms of actual gameplay is mistakes are much less easily forgiven: you often only have 4 turns to win or lose, so you need to make the most of each of those turns. This will come with time: playing against all of the format’s popular decks and memorizing their lines, as well as your own. For Modern lovers, this is a great source of joy: finally feeling like you’ve mastered the format (ahem). It can take years, but if you love depth and a challenge, you’ll come to appreciate how rewarding it is. With almost 9,000 cards to choose from over Standard’s ~1,200, you can understand why Modern’s power level is higher. Think about the most powerful cards in every Standard since 8th Edition or later you’ve ever played in, then imagine all of those cards in one format. That’s pretty much Modern. You’ve got your Lightning Bolt, your Delver of Secrets, your Liliana of the Veil, your Path to Exile, your Tarmogoyf, and plenty more. While it can be intimidating playing against these cards, remember you have access to the same cards and that playing with them is a very empowering feeling. Modern decks are more expensive on average than Standard decks, but you shouldn’t let this stop you from playing the format at all. For one, there are some inherently cheap decks you can get started with that will put up very respectable results for you. The Modern Event deck is a $75 B/W Tokens deck that’s proven a decent place to begin, for one. Other good choices include Merfolk ($350), Soul Sisters ($230), and Blue Tron ($350). Second, you can budget-ize popular decks. Some will suffer a lot for it, but some very little. The best suggestion for this is Burn — swap the fetches and Grim Lavamancer for basics and more burn or creatures and you’re in nearly as good shape, while dropping the price about $400. Third, Modern is a non-rotating format, so once you have your deck, assuming you love it enough, you could play it for as long as Modern exists, with few new cards needed the entire time (and even when you do make new purchases, they’ll cost much less than a new Standard deck would). So, long-term Modern is actually much cheaper, unless you build a lot of expensive decks, but even then you can share the expensive cards between them. Standard sometimes has a little combo, but mostly it’s aggro, midrange, and control. In Modern, you have all that and shouldn’t have too much trouble figuring out how they work, but combo is very much apart of the metagame and a major factor in how people build their decks. So, to do well, you’ll need to familiarize yourself with how they win (as for the when, it’s usually about turn 4). Twin wins by playing a Pestermite or Deceiver Exarch at the end of your turn and then equipping it with Splinter Twin for an infinite creature combo, killing you outright. They play counterspells to hurt your plan while protecting their own; if you disrupt them enough, sometimes they’ll just beat down with their fliers and throw burn spells at your face until you die the old-fashioned way. The key here is to keep their creatures off the table. Some of the best and most popular hate cards for Twin include the upcoming Rending Volley and Spellskite — both of which have applications against other decks, too. Amulet abuses bouncelands like Simic Growth Chamber and Amulet of Vigor to acquire great amounts of mana in a short time, at which point they drop a Primeval Titan, activate Slayer’s Stronghold, and swing with Titan to kill you outright. This can happen as early as turn 1, though this is very rare. Their backup plan is to play Hive Mind then Summoner’s Pact or Slaughter Pact, which causes you to lose. The key to beating them is to keep their Titans off the table, and if you run counterspells, to counter Hive Mind (unless you have green and black mana to pay for their Pacts). The best hate card for Amulet is Blood Moon, which the deck has an extremely difficult time dealing with, even if they build their sideboard for it — often it will win the game outright. RG Tron uses land search lands to assemble Tron lands (see: Urza’s Mine) and thus, lots of mana. Like Amulet, they do this quickly and use the large amounts of mana to play expensive things that kill you — specifically, Karn Liberated, Wurmcoil Engine, and less often, Emrakul, the Aeons Torn and Ulamog, the Infinite Gyre. Aggro is Tron’s weakness, but if you’re not playing that, you’ll probably have to rely on hate cards to win. Some of the best and most popular include Stony Silence, Aven Mindcensor, and Blood Moon. Scapeshift wins by rushing out seven lands into play and then throwing their deck at you after casting Scapeshift (which gets Valakut, the Molten Pinnacle into play if it’s not already, and then a bajillion mountains). 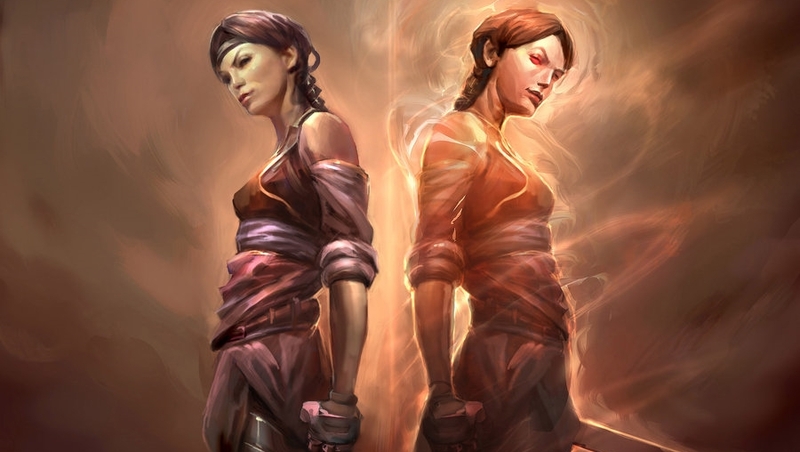 Like Twin, they have counterspells to disrupt you and protect themselves. It’s not blazing fast like Twin, so you can just race them sometimes. Otherwise, counter their Scapeshift and/or blow up their Valakut if they play it early with Ghost Quarter or Tectonic Edge (if your deck can afford to run them). Some of the most popular hate cards include Aven Mindcensor, Blood Moon, and Shadow of Doubt. There are more combo decks in Modern, but these are the most popular at the moment. Now you should be reasonably well equipped to fight them, as opposed to being blindsided with a win “out of nowhere”. From here, you should research the various decks in Modern (many of which we’ll cover as time goes on) and decide which is best for you. Then, either proxy it or watch a lot of coverage of it in action to see if it’s your thing. Once you’re set on one, buy it and play it at Friday Night Magic (or on whichever day your local shop runs Modern), and/or grab it on Magic Online and test it there in the Tournament Practice room, then in dailies (which are basically Friday Night Magic, but more competitive on average). I’ve been thinking about getting into modern at the FNM level. I have a casual mardu warriors deck (mostly standard stuff) that I’m pretty attached to that I think could be ported to modern to make a deck that at least let’s me have fun (not expecting to take down any FNMs). Do ya’ll have any tips? Warriors aren’t good. I strongly recommend Mardu Tokens with Lingering Souls, Crackling Doom, Inquisition of Kozilek, etc. It’s kind of a thing right now, and a pretty good one. Shouldn’t be hard to find some lists in the wild. Can’t really help you with that, then, except to say play good non-Warrior spells alongside them (Path to Exile, Smother, etc). If you were really set on a tribal, humans would probably be stronger than warriors. Very close in feel but more relevant to the modern card pool. Also there is a knights list that pops up from time to time. It’s mono white so it’d be pretty inexpensive.